Don't put anything in your flute case except the flute. 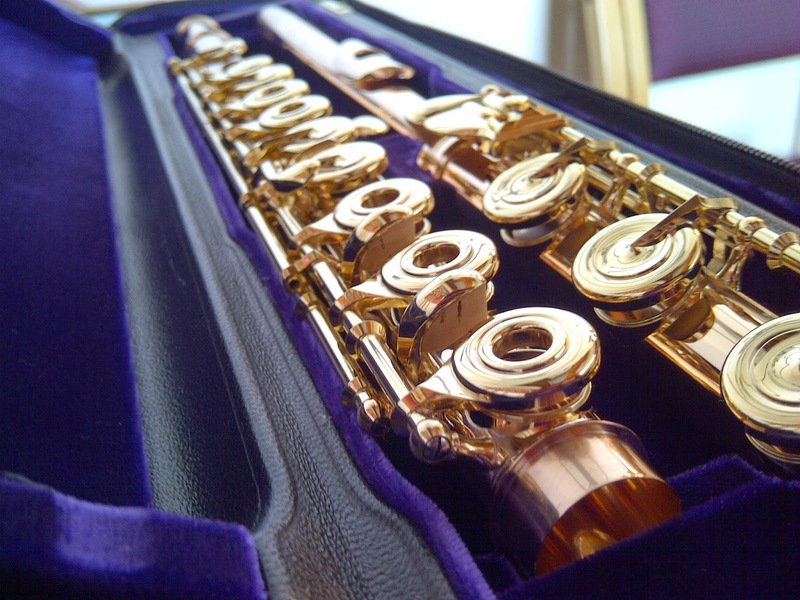 If you have a cloth covering the flute, it will press against the keys when you close the case. Rachel mentioned that polishing cloths can be kind of bulky, and not only do they exert unnecessary pressure on the mechanism, they can also get caught on key pads, causing the pads to tear. As for other items -- maybe a swabstick, pencil, etc. -- if they are placed in the case, they can move around, bumping into the flute and causing damage. Placing additional items in the case outside of the flute is definitely not a good thing -- and placing them inside the flute is also a no-no. You don't want to leave your swab in the flute after your are done swabbing out. Rachel says, "You get all the moisture out, and then you put it back in" if you leave the swab in the flute. There is one exception to the rule -- an anti-tarnish square. These can be placed on the flat area of the case on the far left, as you'll see in the photo below. Other than this small anti-tarnish square (usually a strip or a very small sponge-like material), make sure there are no "extra" items in the case or on the flute. 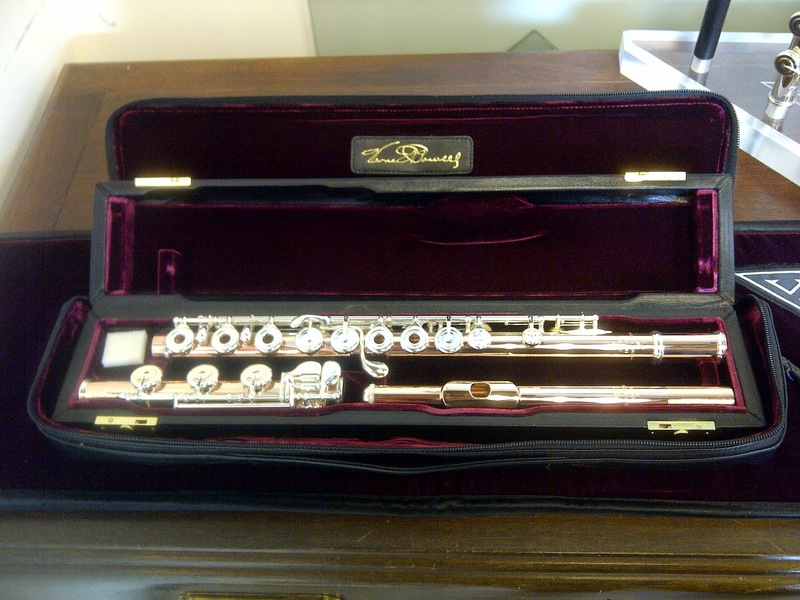 Remembering the simple rule of "nothing goes in the case except the flute" should keep your flute happy and healthy! Anti-tarnish square is on flat spot on the far left of the case (next to body tenon).